Happy Tuesday. 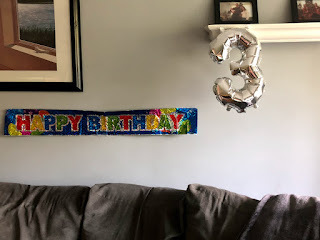 Today I am linking up with Ashley and Erika for Tuesday Talk. Each month we link up to chit chat about anything and everything. 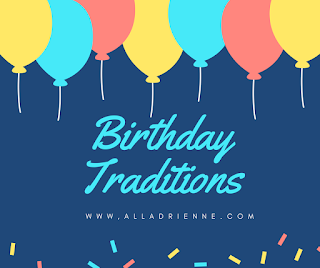 On my mind right now are Birthday Traditions. Birthdays in our family seem to be never ending. 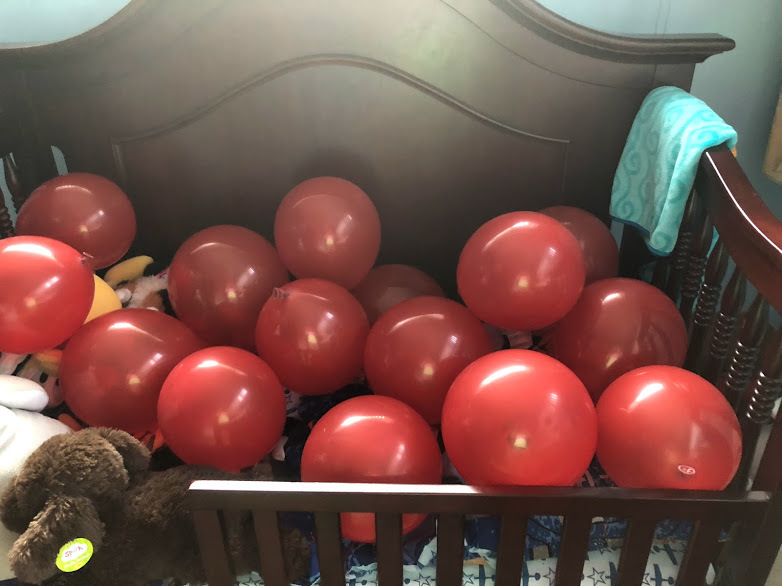 If it isn't someones birthday we are planning one, or talking about one. 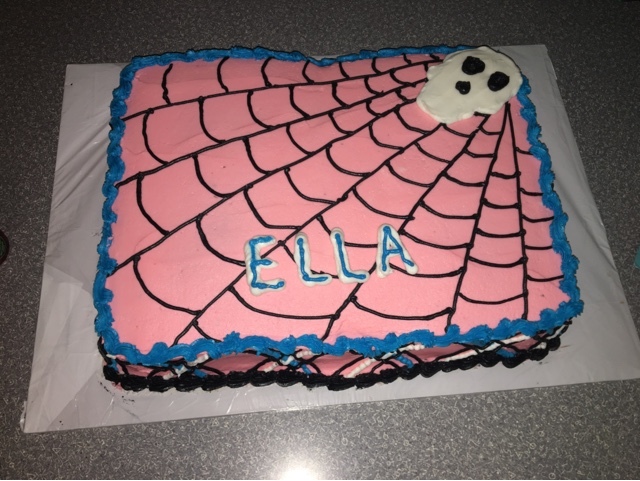 Ella is always planning her next birthday party, what she wants to do, who she wants to invite, and what presents she wants. 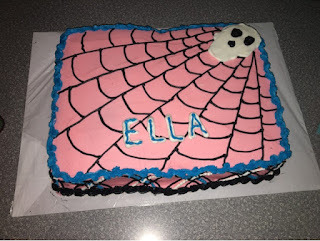 You would think her birthday came more than once a year. 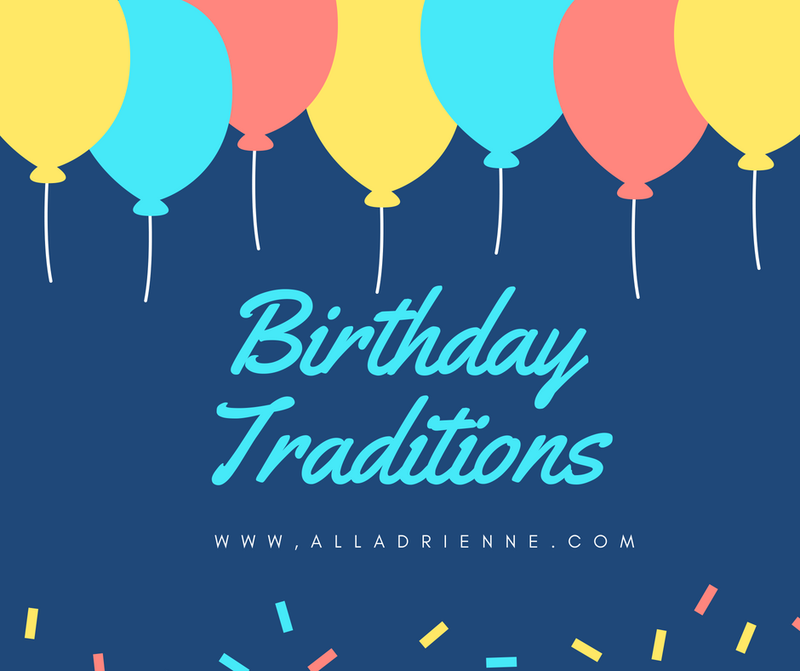 Today I am going to share some of our Birthday Traditions. Streamers. 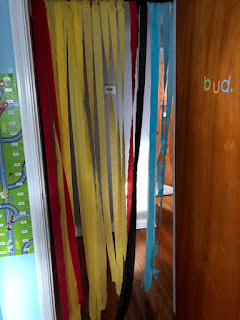 Who doesn't love to run through streamers. 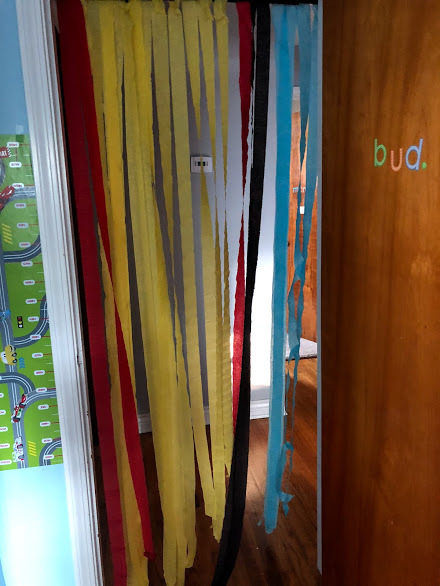 On the morning of each kids birthday their bedroom door has streamers over it. 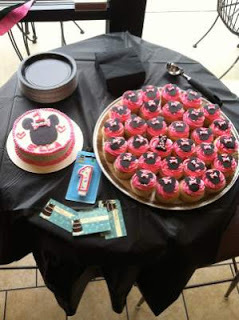 Colors depend on theme of their birthday or what we have on hand. 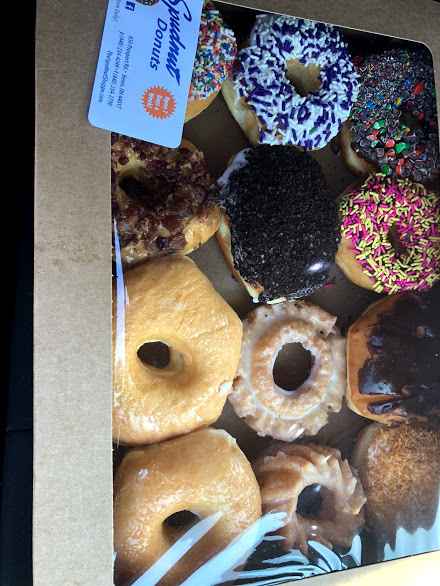 Birthday breakfast tradition for the kids is getting donuts. 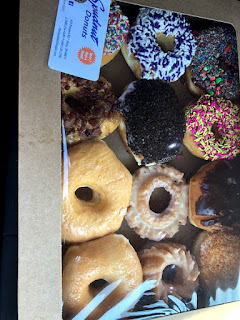 Our favorite place to get them from is Spudnuts. Unfortunately they are about 25 minutes away and not always feasible depending on the day so our other option is Dunkin Donuts. 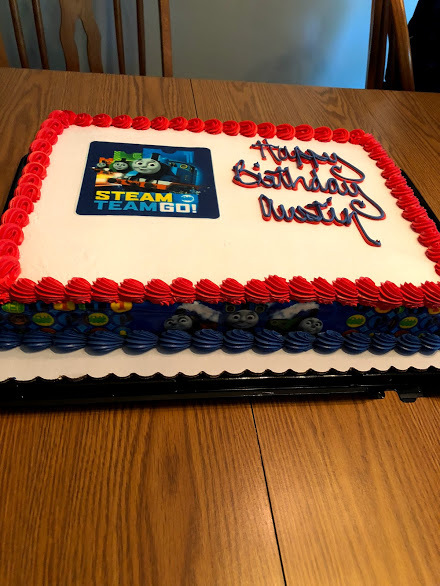 There is always cake, and lots of it.The cake usually is themed to go along with the birthday party, except this year Austin didn't have a themed party but he still got a Choo Choo cake. What kid wants a birthday without presents? None I know of. We use to go crazy with buying presents for the point of opening presents. This year we have really cut back and that is the plan here forward. 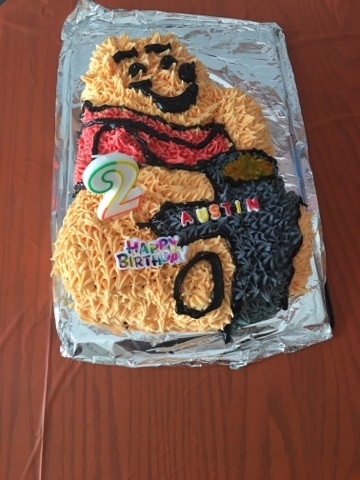 Austin got a few things that he picked out. We know that we have amazing family and friends who will spoil my kids with clothes and toys, even though they don't need more toys. Our only real traditions are cake and the birthday kid picks what he / she wants for dinner!